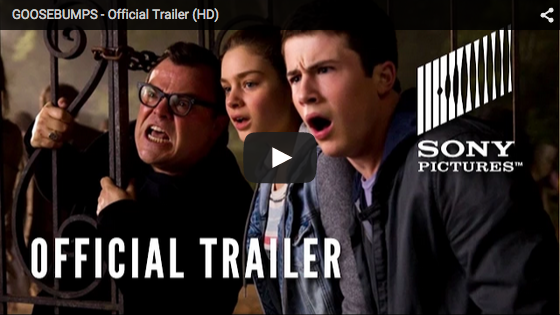 The New Goosebumps Movie Trailer Is Out And It Has All The Monsters You Could Want! 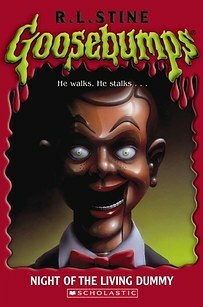 If you grew up in the 90’s you are probably more than familiar with the franchise Goosebumps. Well now there is an upcoming movie based on these nostalgic books that brings all the old monsters to life. The trailer for the film was released on Wednesday and seems to almost have a Jumanji type vibe. Jack Black plays a fictional version of the writer of the series, R.L. Stine. Stine gets a new neighbor next door that hopes to win the heart of Stine’s daughter. In doing so, he accidentally releases all of the horrifying monsters locked inside Stine’s original manuscripts. From there it seems to seem like Jumanji like I was saying earlier. They all must capture the monsters that have escaped by forcing them back into the book. I’m crossing my fingers that it’ll be good. Check out the trailer below and share it with your friends! Check Out These Crazy Image Shapes Caught On Google Maps!